The Southern Thoracic Surgical Association (STSA) is currently accepting membership applications. The application deadline, previously scheduled for today, September 15, has been extended until Monday, September 21. Please consider submitting an application if you qualify for membership. If you are already a member – thank you! – and please encourage your partners, colleagues, and mentees to apply. STSA recently expanded its membership categories so that more cardiothoracic surgery team members now qualify for STSA membership than ever before. Active Membership is available for physicians who have been practicing in the Southern region since November 2014 or earlier, and physicians who have completed a general surgery, thoracic surgery, or cardiovascular surgery residency program or fellowship at an institution in the Southern region. Resident Membership is available for CT surgery residents training at an institution in the Southern region. Associate Membership is available for interdisciplinary care professionals working on a CT surgery team in the Southern region. Student Membership is available for general surgery residents and medical students interested in pursuing CT surgery and training at an institution in the Southern region. 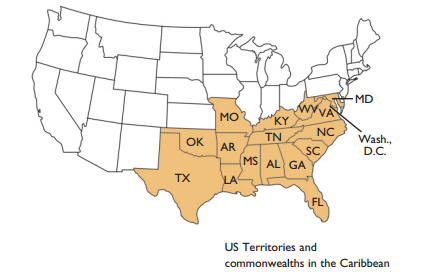 The STSA Southern region includes the following U.S. states and territories: Alabama; Arkansas; Florida; Georgia; Kentucky; Louisiana; Maryland; Mississippi; Missouri; North Carolina; Oklahoma; South Carolina; Tennessee; Texas; Virginia; West Virginia; District of Columbia; the U.S. territories and commonwealths in the Caribbean. Learn more about STSA member benefits and eligibility and download an application at www.stsa.org/membership. Contact STSA Headquarters at stsa@stsa.org or 800.685.7872 with questions and for assistance.